Let your clown lead you to deeper levels of living through harnessing the power of your vulnerability. Clown lives in the moment, responding to everything s/he encounters with curiosity and wonder. In order to achieve this state, we as performers need to be able let go of the need to control and just allow things to be as they are. This concept can bring about anxiety, as to be ‘out of control’ and witnessed by an audience can heighten our feelings of vulnerability which in turn can trigger the fight / flight / freeze survival strategies. In performance, these survival strategies can manifest as defensiveness, aggression, vagueness, stuckness, smallness and doubt, all of which create a wall between performer and audience, which is the opposite of what clown is about. Great clowns connect with audiences with their hearts wide open, letting them share their struggle, celebration and bewilderment in every moment. So what if we were to press pause and strip ourselves back to the bare state of vulnerability, to safely explore how it feels to simply be vulnerable? What happens when we allow our vulnerability to be seen by others? What might it open up in our relationship with audiences? What might it open up in our relationship real people from our real lives? What extra support do we need in place to allow these to be healthy explorations? This weekend employs our clowns to help us find out. Holly’s own journey into understanding the power of vulnerability has been long, winding and life-changing. This weekend is built on her own experiences and training in clowning, dramatherapy and meditation and is based on her own research (clown-o-therapy) and the research of many others (including Brene Brown, John Bradshaw, Keith Johnson, Pema Chodron, Tara Brach and Julia Cameron). Discoveries made through this weekend can be used to introduce more wide-awake, deliciously daring, deeply sensitive and playfully honest qualities to your performance, to your real life or both. 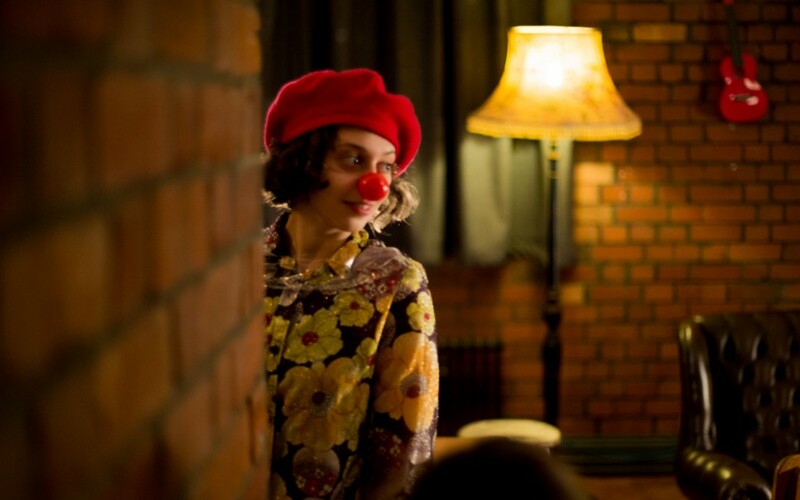 If you are an individual looking to access Holly's training, Holly requests that you begin with her Introduction To Clowning as it serves as a foundation for all the other training. If you are a company / organisation looking to commission your own workshop, have a look at Holly's Services section and get in touch. Thank you, we've signed you up!